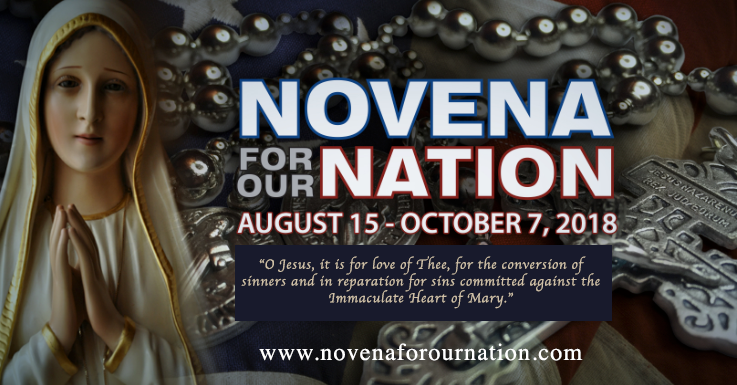 The World Apostolate of Fatima, USA is partnering with The Holy League on the54-day Novena for Our Nation and the nationwide Rosary Coast to Coast, Oct. 7, adding a sacrificial element as was emphasized at Fatima. Sister Lucia said that the most essential part of the Fatima message is the sanctification of your daily duty according to your state of life. In other words, to offer up all of your sufferings, trials and tribulations that God permits in your life every day as reparation for the salvation of souls and in supplication for the conversion of sinners. This was the first request Our Lady posed to the three Fatima children on May 13, 1917. Copyright 2019. World Apostolate of Fatima, USA. All rights reserved.